With the New Year only a handful of days away, I've been looking over the (long) list of books I've read this year. From starting new series to saying goodbye to others to reading various comic books, my list is chock full of stories I've fallen in love with. However, as any book lover knows, sometimes I don't get to every book on my to-be-read list. There's an even longer list for that. With this dilemma in mind, I've constructed a list of books published in 2015 that any book lover should read. If you didn't get to any of these in 2015, make sure to put them at the top of your 2016 to-be-read pile. 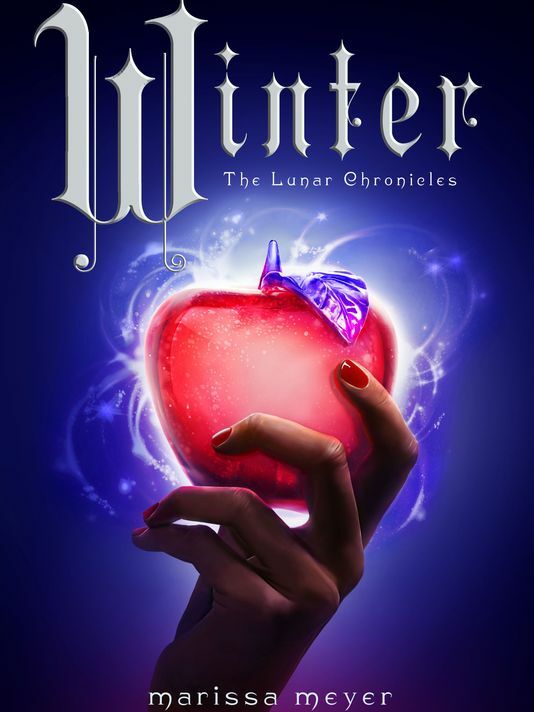 The final installment in the Lunar Chronicles by Marissa Meyer, Winter continues the futuristic, science-fiction, fairy tale retellings with the story of Snow White, or Winter. This book did not disappoint. I loved every moment of it, falling in love with more characters than I thought possible. I'm sad to see this story end, but it was definitely a wild and noteworthy ride. If you like fairy tales and science-fiction, or either of those, I think you'd enjoy this story. It's one of the best retellings I've ever read, and it's a well-written, exciting YA series that should definitely be a TV show. Come on, it's fairy tales set in a futuristic world and outer space! Another tale in the Lunar Chronicles by Marissa Meyer, Fairest follows the story of the evil queen, Levana. Yes, that's right, folks: we get the villain's backstory. And it is marvelous. Marissa Meyer is gifted with being able to capture the atrocities Levana went through as a child to turn her into the evil monster she becomes without evoking pity or "justification" for her actions. She allows us to see and understand how Levana became who she is, but she is still an evil queen who does not deserve to rule. It's an interesting twist from normal story arcs. Plus, the details of the Lunar world were exquisite. If you enjoy the first three books in the Lunar Chronicles, I highly advice picking up this book before you read Winter. It's the recommended reading order from the author herself. The author of the Grisha trilogy and Six of Crows, Leigh Bardugo, basically describes this story as Ocean's Eleven... with magic. 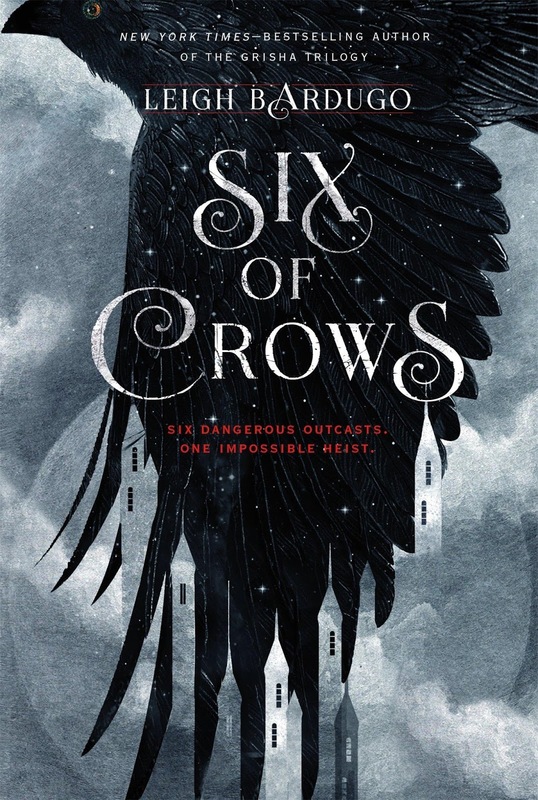 A heist novel with six striking characters, Six of Crows delivers a wild punch into the world of outlaws and Slavic fantasy. Let's just say, I loved every word of this novel. Mystery, intrigue, magic--this book has everything and more for lovers of fantasy. The plot kept me on my toes, while the characters kept me grounded in the world. And the ending... whew, that's one cliffhanger I don't know if I'll ever be able to forgive. Basically: this book is awesome and worth the 400+ pages. Plus, it's gorgeous. If there are two things I love, they're mythology and humor. And Rick Riordan has a knack for bringing the two together. 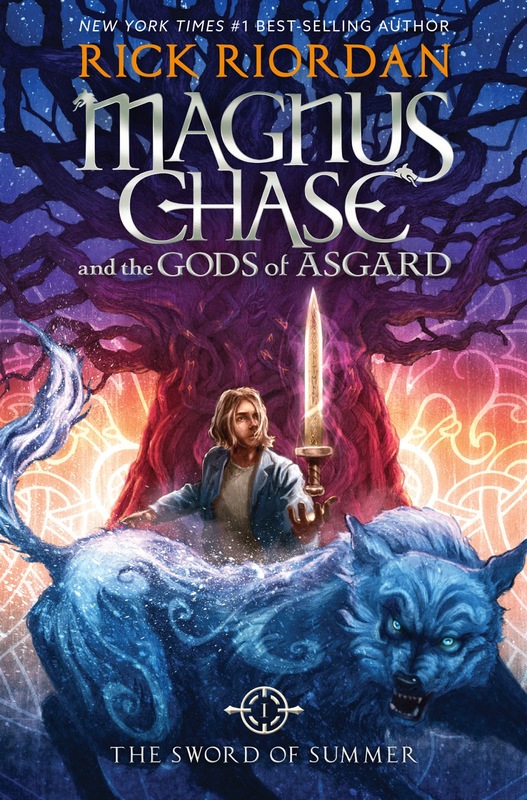 Magnus Chase is the latest demigod of Riordan's creation, only this time his parent is a Norse god. Oh, yeah. 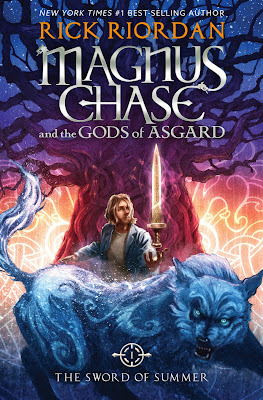 For years, I thought Riordan should do a series about Norse mythology after his Olympian series became a favorite. Well, here we are. And this book does not disappoint. I don't know Norse mythology as well as Greek or Roman (because my high school English class decided it wasn't important enough to learn), yet I had no trouble reading this story and, yes, even learning the Norse deities. Full of humor, action, and a whole lot of crazy, The Sword of Summer is a great start to a new trilogy. Plus, it's a fun way to be educated. This picture book is as cute as Marvel can get. Basically, you follow the instructions on the physical pages of the book in order to assemble the Avengers team. From "flicking" Cap's shield to "flapping" the book like wings, the goal is to bring the team together by interacting with the book and using your imagination. No fancy touch screens here! Let's just say, this is the cutest book ever and any Marvel fangirl should check it out. It also makes a great gift for the younger generation you might be trying to train to follow in your fangirl footsteps. While I did not have a chance to read this, I know it's been popular book for conversation. Over fifty years after the publication of To Kill a Mockingbird, Harper Lee's sequel, Go Set a Watchman, was published this past year. It tells of Scout, two decades later, returning to her childhood home and what secrets still remain there. 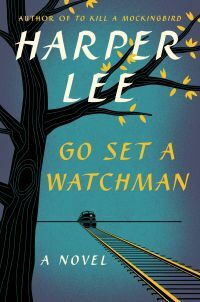 If you enjoyed To Kill a Mockingbird, I think it'd be worthwhile to read Go Set a Watchman. 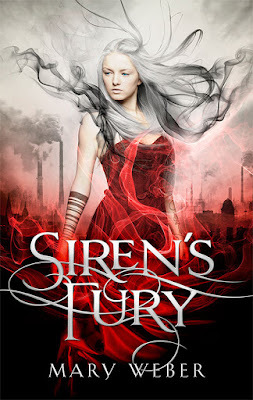 The second book in the Storm Siren trilogy, Mary Weber continues the tale of Nym, a girl with the ability to summon storms, and her determination to save not only her country but the surrounding kingdoms from a dreadful monster. Everything about this series just screams wonderful. Nym is a strong, well-written female character. The world, while somewhat simplistic, provides a complementary backdrop to this tantalizing tale. This is a good fantasy series worthy of reading and enjoying. 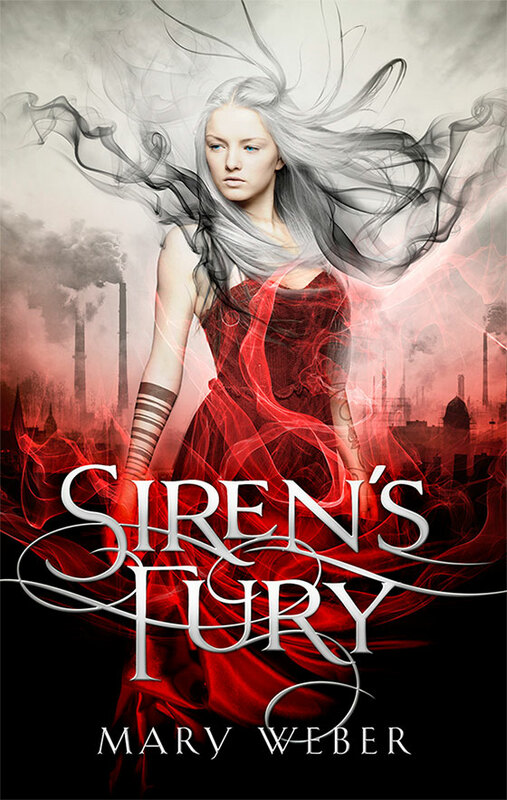 Laced with strong messages, strong characters, and a strong plot line to tug me through to the final book, the Storm Siren trilogy is something to keep your eye on. Aimed for middle grade, Listen, Slowly follows the story of Mai, a Vietnamese girl born and raised in California, who is forced to spend her summer in Vietnam with her grandmother. But their trip takes a turn, when they begin to search for clues about her grandfather, who went missing during the Vietnam War. 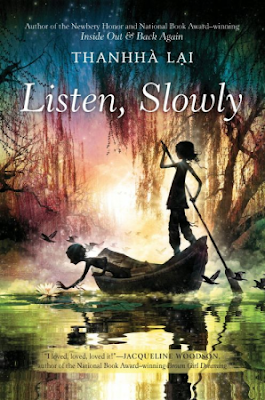 While the story is written for a younger audience, I still felt the importance of the book and the culture it explores. It's definitely worth the read. 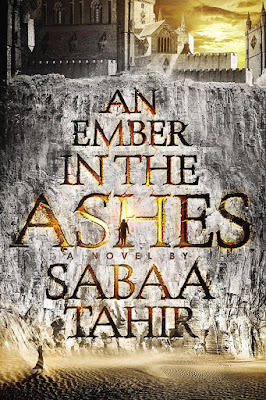 And the cover is gorgeous. 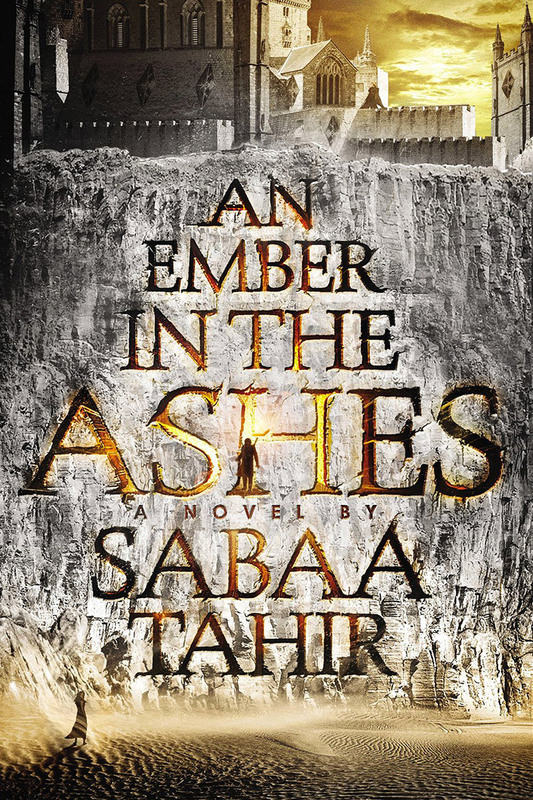 Another book I failed to read this year, An Ember in the Ashes by Sabba Tahir has been receiving a lot of buzz. Set in an ancient-Rome inspired world, this high fantasy novel raises the stakes for two characters determined to do whatever it takes to find freedom. I've heard good things about this book--from the world building to the romance story thread to the characters. I'm definitely putting this near the top of my 2016 TBR pile. I can hardly wait to read it! One of my favorite authors, Lisa T. Bergren manages to create a fantastic, futuristic world full of danger, magic, and excitement. 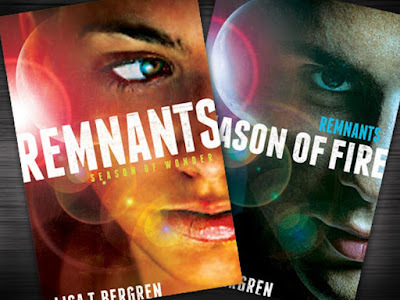 A perfect blend of fantasy, dystopian, action, and romance, the Remnants series is one of the best YA series I've read in recent years. It's a fresh take on the over-done dystopian genre, mixing in hints of fantasy and faith to keep the story strong and moving. It doesn't disappoint. The third book releases early 2016, so hurry and read this series to catch up! Ms. Marvel: Okay, this is probably the best comic book series I've read this year, and it's definitely the best solo-female lead I've read. Kamala Khan is a Pakistani-American teenager living in Jersey City, who accidentally gains superpowers when the Terrigen Mist is released across the city. Not only is she hilarious, but she's relatable. I think this is one of the best up-and-coming comic book heroes. I can't wait to see where her story takes her! 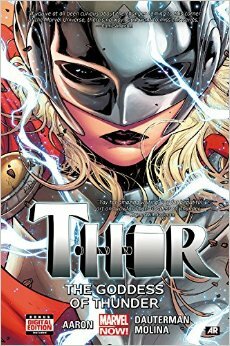 Thor: Goddess of Thunder: Obviously, this comic is worthy to be read. While I've only read volume one, I can tell this is going to be an exciting read. Not only is her identity secret from Odin, but Odinson (aka the original, manly man Thor) doesn't like someone else wielding his hammer. Thus, exciting stuff happens. Manga Classics Emma: No graphic novel list would be complete without some kind of manga recommendation. However, this one is a bit different. It's an adaption of Jane Austen's novel, Emma, in a manga style. Don't like the "old" writing style? This graphic novel will tell you the tale of Emma Woodhouse and her matchmaking adventure with stunning, manga-style illustrations. That's right, folks: Mr. Knightley as a manga character. Talk about swoon-worthy. 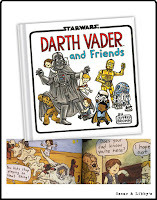 Darth Vader and Friends: If you haven't read the Darth Vader and... series by Jeffrey Brown, you're missing out. This series brings to life "what ifs" of the Star Wars universe. What if Darth Vader raised Luke and Leia? 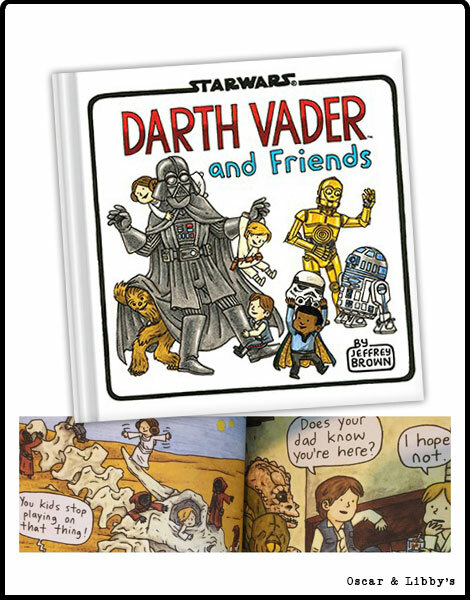 What if Vader had friends? Using iconic characters, moments, and planets, these books provide humorous scenarios for the Sith Lord to grapple with. Have you read any of these titles? 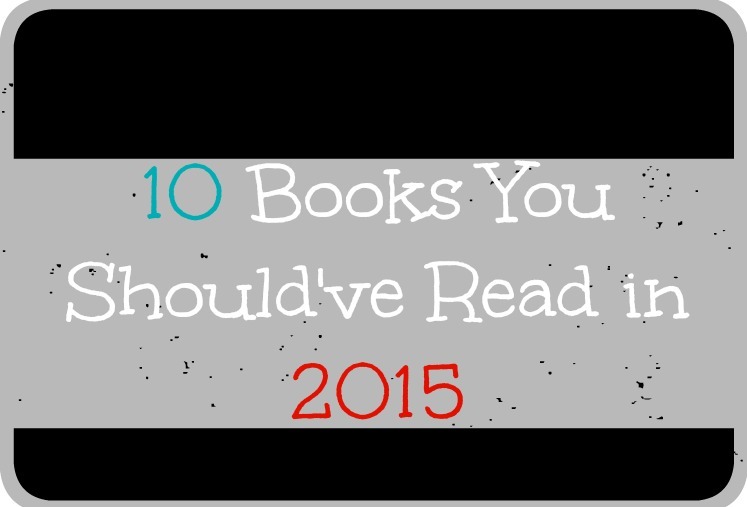 What 2015 books do you recommend fangirls should read? I really liked how Fairest explained how Levana became such a villain but didn't try to make her actions seem right. It's a refreshing spin on villain stories. And TLC would make an awesome TV show. I keep hearing great things about Six if Crows, so I'm hoping to catch it at the library soon. Yes! Marissa Meyer is a wonderful writer.